Who won and lost in yesterday’s primary. A comprehensive look. There were surprises and there were shoo-ins in yesterday’s Democratic Party primaries. In what was probably the most closely watched race, Baltimore State’s Attorney Marilyn J. Mosby cruised to a solid re-election victory, fending off challengers Ivan J. Bates and Thiru Vignarajah. In Baltimore County, the very opposite took place. The three Democratic candidates were just a few hundred votes apart this morning. John “Johnny O” Olszewski had taken the lead, but the vote is too close to call until absentee and provisional ballots are counted. 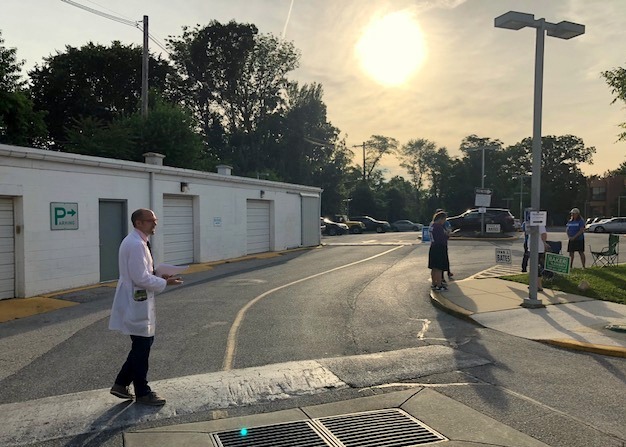 Back in the city, a handful of veteran politicians – notably senators Joan Carter Conway, Nathaniel McFadden and Barbara Robinson – tasted electoral defeat, while some new faces emerged from the House of Delegates primary. Overall, turnout was 24% of registered voters (78,873 out of 326,798), according to the Baltimore Elections Board, compared to 22% four years ago. With Democrats outnumbering Republicans by a 10-1 margin in the city, yesterday’s primary winners are overwhelming favorites in the November general election. In a campaign that saw more than $1 million raised by three candidates, Mosby won a second term as state’s attorney, picking up just under 50% of the vote. Former city prosecutor Bates was second with 28% of the vote, and ex-Maryland deputy attorney general Vignarajah trailed with 23%. In her two-way race against incumbent SA Gregg Bernstein in 2014, Mosby picked up 54% of the vote. With no Republican running in the November election, Mosby is now the de-facto top prosecutor until January 2023. 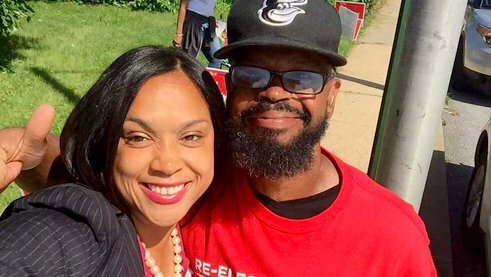 State’s attorney Marilyn Mosby posted this selfie on Instagram yesterday. The 38-year-old attorney gained national stature after she brought charges against six Baltimore police officers in connection with the death of Freddie Gray in 2015. She never lost her appeal to many voters despite all that unraveled afterwards: Her prosecution of the officers resulted in zero convictions. Crime soared. A landmark police corruption case unfolded in federal court. The homicide rate hit the highest level in modern Baltimore history. Activists hounded her over her prosecution of Keith Davis, whose third and latest trial for the killing of a Pimlico security guard ended in a mistrial. 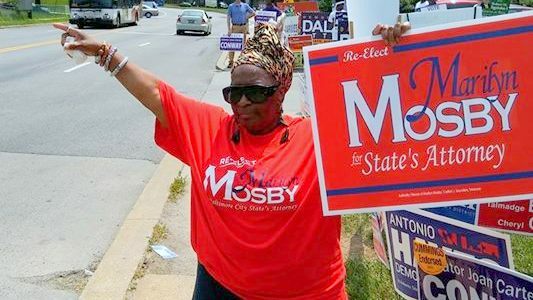 In the eyes of voters like Ava Lawson, Mosby still represents the people’s interests. 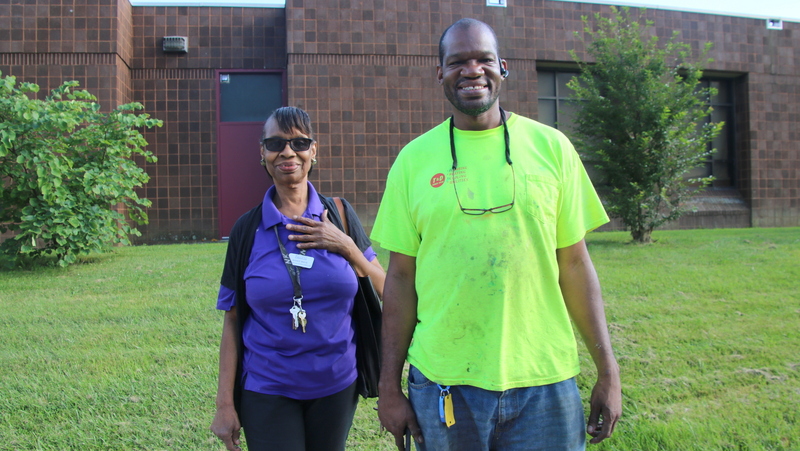 “That was the first time I ever saw police brought up on charges like that, even if it didn’t stick,” the 61-year-old said yesterday, after casting her vote for Mosby at the George W. F. McMechen Junior/Senior High School building in Northwest Baltimore. Her husband, Masselon Lawson, said he was turned off by the campaigns of the other two candidates. At the top of the Democratic ballot there were no bombshells. 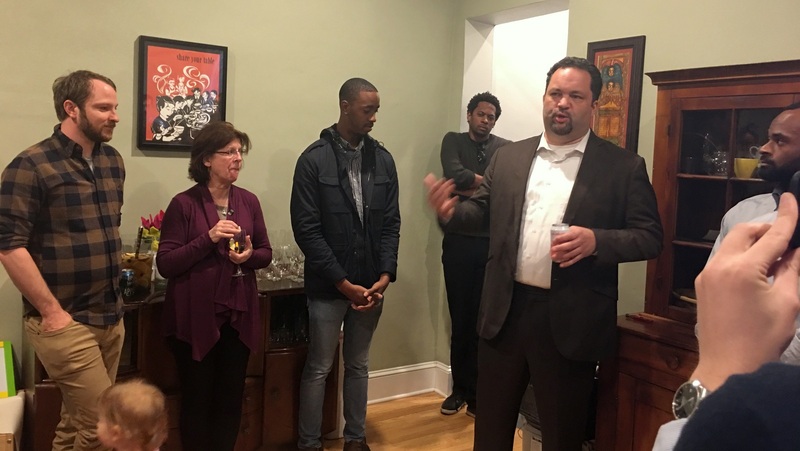 As expected, former NAACP president Ben Jealous pulled ahead of the pack in the crowded Democratic race for governor, defeating former Prince George’s County executive Rushern L. Baker III. In the city, Jealous dominated with 43% of the vote total. The team of Jim Shea and Brandon Scott came in second with 19% of the vote, closely followed by Baker and his running mate, Elizabeth Embry. Yesterday’s victory – thanks in part to significant union funding from the SEIU and others – sets Jealous up for a tough November match-up against Republican governor Larry Hogan, who ran unopposed yesterday. Ben Cardin posted a lopsided win in his bid for a third U.S. Senate term, picking up 80% of the Democratic primary vote. Cardin will face Republican Tony Campbell, a Towson University political science lecturer, in November. The three incumbent congressmen, Elijah Cummings, John Sarbanes and C.A. “Dutch” Ruppersberger, brushed aside a handful of marginal primary opponents and will face three no-name Republicans (Michael Pearson, Charles Anthony and Liz Matory, respectively) in the general election. There was drama, if not shock, in the high-dollar race for Baltimore County executive. With 100% of the precinct votes counted, former state Delegate Olszewski slipped past Brochin and Almond who – considered the front runners – had devoted much of the last month trashing each other. Olszewski is currently 345 votes ahead of Brochin, while Almond trails “Johnny O” by 1,000 votes. The first round of absentee ballots will be counted on Thursday, and additional ballots will be added next week (voters had until midnight Tuesday to postmark their mailed ballots). Provisional ballots will be tallied up on July 5. Until then, this race is too close to call. • In the 40th District, Delegate Antonio Hayes decisively beat Barbara A. Robinson to become the Democratic Senate candidate in November (and effective winner given the minuscule Republican turnout). Robinson, a longtime delegate, was appointed to the Senate seat when Catherine Pugh became Baltimore’s mayor. • In northwest’s 41st District, former Delegate Jill P. Carter prevailed over J.D. Merrill in a race marked by racial divisions. Incumbent Nathaniel Oaks had resigned from the post in March after pleading guilty to federal corruption charges. But his name remained on the ballot, and yesterday he got 1,106 votes, nearly 7% of the total. • In the 45th District, Delegate Cory V. McCray toppled another Annapolis graybeard, 71-year-old Nathaniel McFadden, who had held the East Baltimore seat for over two decades. • In the 46th District, incumbent Senator Bill Ferguson ran unopposed. In the Democratic primaries for Delegates, most districts sent back their incumbents, but there were a few exceptions. In the 40th District, Frank M. Conaway Jr. and Nick Mosby handily won. They were joined by newcomer Melissa Wells, a community advocate and member of the Baltimore-Washington Building Trades Union. In the 41st District, Dayla Attar took a step closer to becoming the first Orthodox woman from Baltimore in the state legislature. She was the top vote getter in the district, trailed by incumbent Delegate Samuel I. “Sandy” Rosenberg and Tony Bridges, who has worked in city government and for community nonprofits. 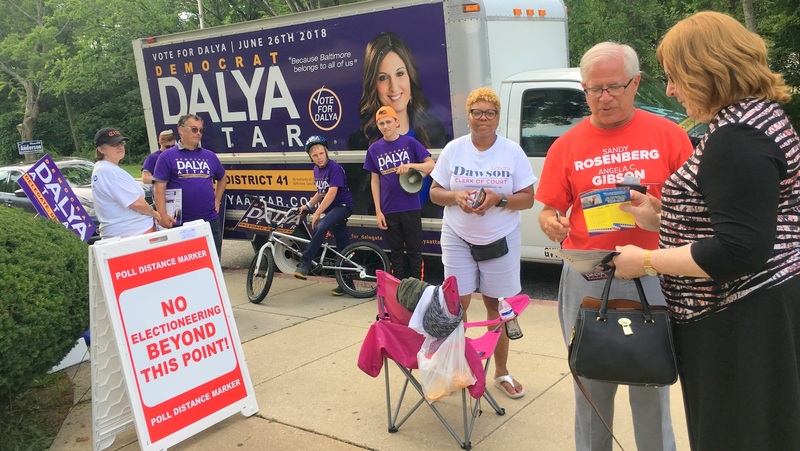 Angela Gibson and Bilal Ali, both appointed as delegates by the 41st District Democratic Central Committee, came up short in yesterday’s primary. In the 43rd District, Maggie McIntosh and Curt Anderson coasted to wins. Regina T. Boyce, a Waverly activist who works at Strong City Baltimore, will be the new voice in the district. In the 45th District, voters also elected a newcomer – Stephanie Smith, an attorney – along with veteran legislators Talmadge Branch and Cheryl D. Glenn. In southeast’s 46th District, the incumbent slate of Luke Clippinger, Robbyn Lewis and Brooke Lierman easily prevailed. Despite a war chest of $431,000 and a law-and-order message, former Obama White House staffer Nate Loewentheil came up short with only 14% of the vote. Dea Thomas, a health care worker, picked up 10% of the vote. In District 44-A, which overlaps with Baltimore County, Sen. Shirley Nathan-Pulliam trounced business owner and union activist Aletheia McCaskill. Incumbents outran their opponents in several important non-legislative races. Marilyn Bentley retained her job as Clerk of Circuit Court by defeating Valerie L. Cunningham and nine other candidates, including Hassan Giordano and Anika Middleton, daughter of 6th District Councilwoman Sharon Green Middleton. Belinda K. Conaway (of the Conaway political clan) swept past Robert Higginbotham II to retain her job as Register of Wills. Not least, John W. Anderson approached his 30th year as Baltimore City Sheriff by beating back an unusual challenger. Chief Stanley Brandford took a leave of absence from the Baltimore Police Department to run for sheriff. Brandford said the office’s 103 deputies, whose primary responsibility is to serve the courts, could be better used in troubled neighborhoods and to provide traffic details, freeing up more police officers to do proactive policing. “The greatest trick Sheriff Anderson has ever performed is to convince the public he doesn’t exist,” Brandford quipped to The Baltimore Sun. But based on yesterday’s results, Brandford made little impact on the average voter, and 61% of the votes were cast in Anderson’s favor.